WASHINGTON (Sputnik) - The United States considers the latest incident on the Israeli-Syrian border to be Iran's "calculated escalation" of tension, US State Department spokeswoman Heather Nauert said on Saturday. 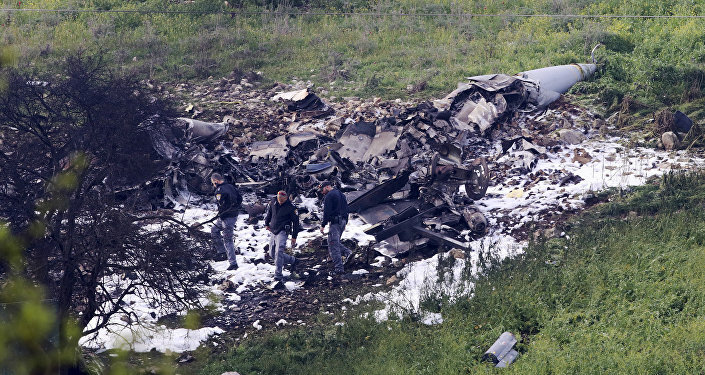 According to the IDF, during the attack, "multiple anti-aircraft missiles were fired at IAF," and one F16 fighter jet crashed in Israel. An IAF pilot was severely injured and transferred to a hospital. Meanwhile, Pentagon spokesman Maj. Adrian Rankine-Galloway told Sputnik that the United States is concerned about "destabilizing activities" of Iran and supports Israel's right to defend itself. "Israel is our closest security partner in the region and we fully support Israel’s inherent right to defend itself against threats to its territory and its people. We share the concerns of many throughout the region that Iran’s destabilizing activities that threaten international peace and security, and we seek greater international resolve in countering Iran’s malign activities," Rankine-Galloway said. The spokesman stressed that the US Defense Department did not take part in this military operation. The White House also said in a statement that Washington supports Israel's right to defend itself from Iranian-backed militias in Syria and urges Iran and its allies to abstain from provocative actions.